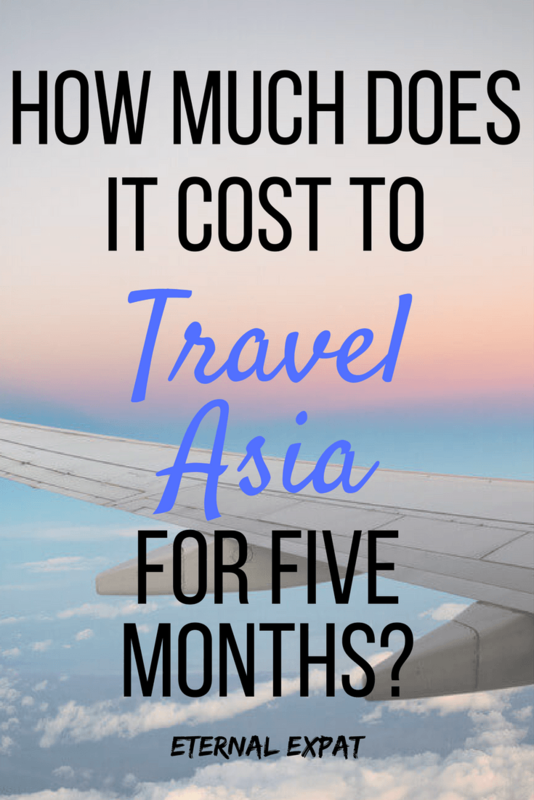 The cost to travel Asia depends on a lot of factors. What countries will you visit? How long will you spend in each place? How quickly will you want to get from A to B? What level of accommodation do you want? What food will you eat? Will you drink alcohol? These are all questions I highly recommend answering for yourself before you even think about laying out a budget for traveling Asia. This post is a breakdown of how much money I spent traveling Asia for five months as well as a guide to saving money along the way. I spent 17 days in Japan, five days in Taiwan, two weeks in the Philippines, and 30 days each in Vietnam, Cambodia, Thailand, and Laos. Let’s start with the bottom line. For five months of traveling the above countries I spent $5,251. So, just over $1,000 per month, although a lot of that money was spent in Japan, on diving, and on flights. It should be noted that I was traveling with my boyfriend. Traveling with another person is a really great way to cut expenses in half. We were able to share room prices, food prices, travel costs. It also gave us a bit of bargaining power with travel agencies because we were usually buying two of something. If you are traveling solo you should expect to pay a little bit more than this or look to cut expenses in other ways. My biggest expense by FAR was transportation costs. By this I mean buses, trains, flights, and motorbike and bicycle rentals. I didn’t move around frequently, but I did obviously move around each country while I was visiting. In total, I took five flights including my flight from Korea (where I was living) to Japan, Japan to Taipei, Taipei to Manila, Manila to Vietnam, and my final flight from Bangkok to the USA. In total I spent $1,220 on flights. Mostly though I took buses. I took buses all over Taipei, the Philippines, and through mainland South East Asia. It’s how I crossed borders and how I got around each country while I was there. While Vietnam has a very easy and cheap hop-on, hop-off bus ticket, every other country I visited required me to pay for a ticket for each journey. I also used the JR Pass in Japan. It was an expensive outlay – over $400 for a two week pass, but it saved me over $100 and it saved me tons of time and hassle when it came to train travel. Plus I got to ride a few bullet trains. SO fun. It’s good to note that train travel in Thailand and Vietnam is both cheap and reliable. If I could do it again, I would have taken more trains in Vietnam (the buses are VERY cheap and the service & comfort match the price). The other big expense was diving. I took a dive course in the Philippines which cost just over $300. Then I dove again in Thailand where I bought a five-dive package for $150. Let’s talk accommodation in South East Asia. I hear so many people talk about pre-booking their hotels before they arrive and it makes me cringe. You don’t need to pre-book your accommodation in South East Asia. I know this sounds stressful. I’m a big planner and I really like knowing that I have a bed to sleep in at night, but once you realize how easy it is, you won’t turn back. I can’t stress enough how much you’ll save if you DO NOT book your accommodation in advance. Anywhere that has an online booking site is definitely more expensive than small guesthouses. 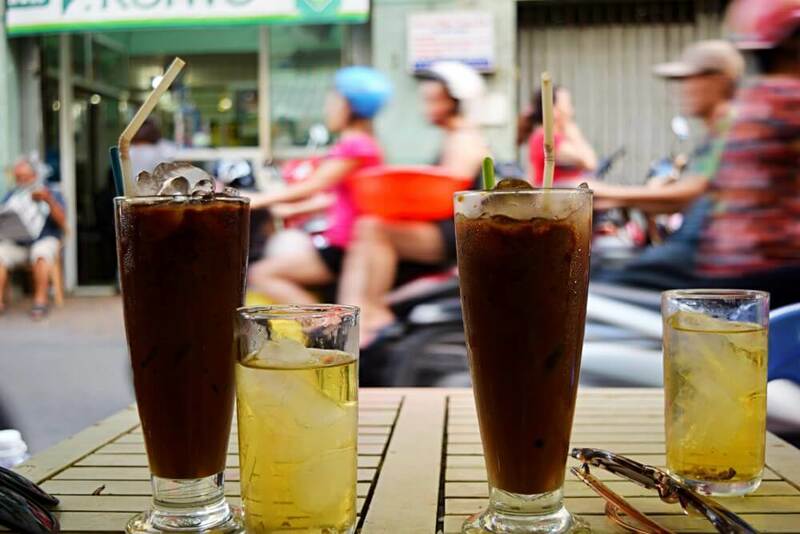 If you’re goal is to travel South East Asia on a shoestring, settle your accommodation when you arrive in each place. The only exception to this I would say, is somewhere like Siem Reap during the high season. We went to Siem Reap in June and there was plenty of cheap accommodation available. Just look for signs that say rooms! During our entire time in mainland South East Asia, we never spent more than $10 a night for our own room. It’s also not a bad idea to book in advance for larger cities like Manila, Bangkok, Hanoi or elsewhere. If you ARE going to book hostels or hotels in Asia in advance, definitely use Agoda. It is by far the best and cheapest booking site for hotels around Asia. I would however, definitely book your accommodation in advance for Japan and Taipei. 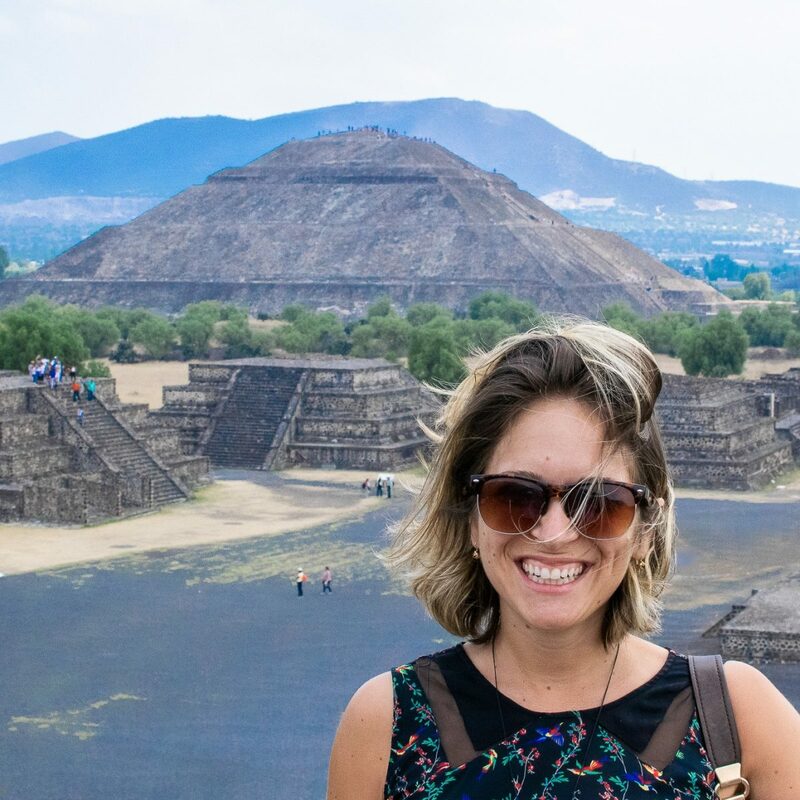 We used AirBnB for both countries and it was the best decision for our budget. We met great locals, stayed in cool neighborhoods, and spent much less than we would have on hotels and even some hostels. Hostels are quite expensive in Japan! If you don’t already use AirBnB, use this link to get $30 off your first stay. Since it was my biggest expense and probably will be yours too, here are a few tips to keep your transport costs down (as much as possible). Move around less. I mean, this is totally up to you, but if you go somewhere new every few days you’re going to spend a lot more on transportation. The way I like to travel means I stay in one place for at least four-five days. I use that place as a base and rent motorbikes to see a bit further afield. In general though, I just like to get to know each place as much as I can. Get combo tickets. 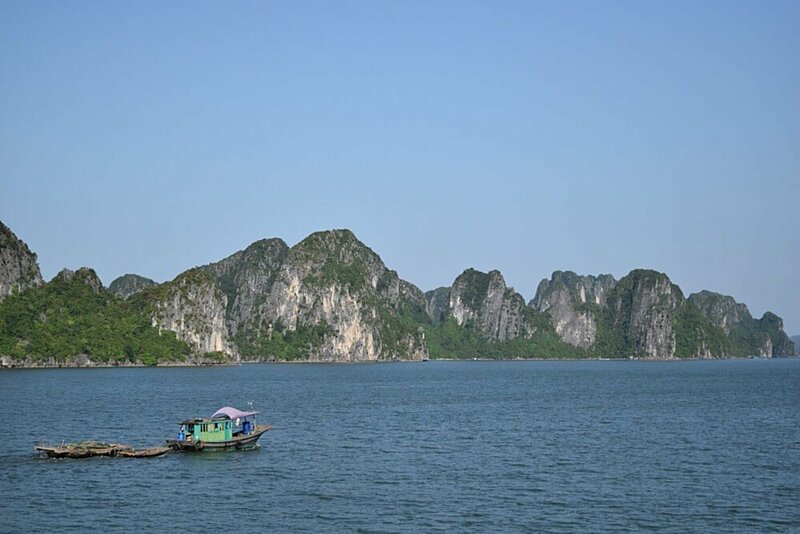 In places like Vietnam, you can get combo tickets that include several destinations where you can get on and off whenever you want. These tickets are CRAZY cheap. Buses were by far the cheapest way to get around everywhere. Trains are faster and more comfortable, but are quite a bit more expensive. We splurged on trains in Thailand and for the most part, I thought it was worth the extra price tag. If you’re going to Japan, definitely get the Japan Rail Pass. It will save you time, hassle and a lotta dough. It’s all about the Street food in Asia. The night markets in Taipei, the places with tiny stools in Hanoi, the pad thai in Bangkok, eat all of it. Eating street food is so, so cheap. It’s how we kept our budget down in Japan and how we ended up eating the best meal of our lives in Thailand. 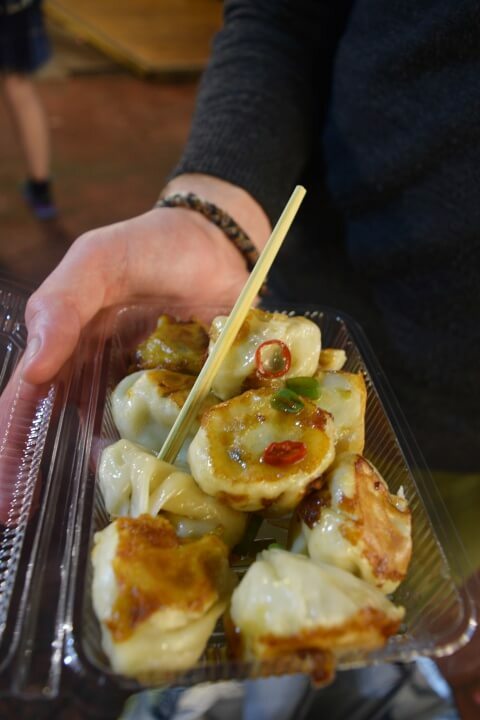 Look for night markets – they set up in most cities and towns as it gets dark and you can sample tons of different dishes on the cheap. If you’re worried about getting sick, look for places that are making the food fresh to order. Most street vendors are cooking up the food you order only once you actually place an order. Look for the places that the locals are eating. You know it’s good AND that it will be cheap. In the five months that my boyfriend and I traveled through Asia, we both got “Bali Belly” only once and both on separate occasions (even though we usually ate the same things). We both agreed that it was probably from eating too much greasy food over a few days in a row. There is such an abundance of fresh fruit and fruit smoothies around Asia. Eating cheaply doesn’t necessarily mean eating unhealthily every day. Over the course of the five months, I actually LOST weight (all the sweating and walking probably helped). There are tons of places that make papaya salads (be careful with the spice though) and other types of non-cooked, vegi-heavy dishes. The soups throughout Vietnam were flavorful and light and packed with fresh herbs. The curries in Laos and Cambodia are full of vegetables and super cheap. There was often freshly grilled fish and steamed rice. Amazing dumplings in Taipei – less than $2 for all of these! Luke and I splurged on diving and souvenirs. We had a beer or two each night, sometimes seeking out craft beer bars or cocktail bars with a view. But we stayed in very cheap hostels and guesthouses. We existed almost solely on street food. We ate fruit for breakfast whenever we could and snacked on fruit throughout the day (almost always cheaper than pre-made snacks from 7-11). We bought expensive sushi in Japan and went to every museum we could. We did multi-day hikes with experienced tour companies and rented motorbikes whenever we wanted. But we often took cold showers and washed all of our laundry by hand in our hotel bathrooms. It’s totally up to you where you decide to scrimp and where you want to let loose. I wouldn’t change anything about our trip and I hope at the end of your adventure you feel the same way. I’ve used World Nomads for travel insurance for the last six years and I’ll continue to do so forever more. Their plans are the most comprehensive, they allow you to base your plan off of where you’re from, where you’re going, and what activities you’re going to be taking part in. Everything from the quote to the payment is very clear. I always feel like I know exactly what I’m paying for and it was such peace of mind while we were traveling Asia, scuba diving and riding around on motorbikes. It was easy to make sure that our stuff covered as well. You can use this little box to get a quote and see if what you’re going to do around Asia will be covered. Have any questions about traveling Asia on a budget? Leave them in the comments or send me an email!